The Mathematics Teacher Education Partnership (MTE-Partnership) is a partnership of institutions of higher education and K-12 schools, districts, and other organizations. The group works collaboratively to redesign secondary mathematics teacher preparation programs. Organized by the Association of Public and Land-grant Universities, MTE-Partnership has received funding from the National Science Foundation and the Helmsley Charitable Trust. Its ongoing goal is providing a coordinated research and development effort for secondary mathematics teacher preparation programs in order to meet the challenges of the Common Core State Standards for Mathematics, and to embody research and best practices in the field. Dr. W. Gary Martin is co-director of this national effort, and Dr. Marilyn Strutchens is a member of the planning team and co-leader of the clinical preparations working group. More information can be found at on the MTE-Partnership Website. 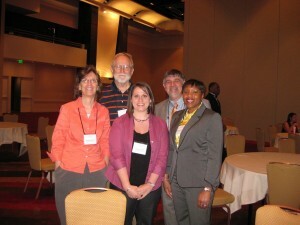 Auburn University is the lead institution for the Central Alabama Mathematics Teacher Education Partnership (CAMTEP), one of the partnership teams for MTE-Partnership – along with Tuskegee University, Alabama State University, AMSTI, and local school districts. Dr. Strutchens is the Team Leader for CAMTEP. Drs. Stephen Stuckwisch, Ulrich Albrecht, and Narendra Govil of the Department of Mathematics and Statistics are also members of the CAMTEP team. Members from other institutions include Dr. Lauretta Garrett (Tuskegee University), Dr. Calvin McTier (Alabama State University), Ms. Beth Hickman (director of AMSTI), Ms. Nancee Garcia (Auburn City Schools), and Ms. Brooke Barron (Tallassee City Schools). 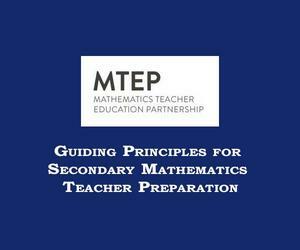 MTE-Partnership’s ongoing goal is providing a coordinated research and development effort for secondary mathematics teacher preparation programs in order to meet the challenges of the Common Core State Standards for Mathematics and to embody research and best practices in the field. Email W. Gary Martin, Ed.D. The Mathematics Teacher Education Partnership (MTE-Partnership) is a partnership of institutions of higher education and K-12 schools, districts, and other organizations. The group works collaboratively to redesign secondary mathematics teacher preparation programs.